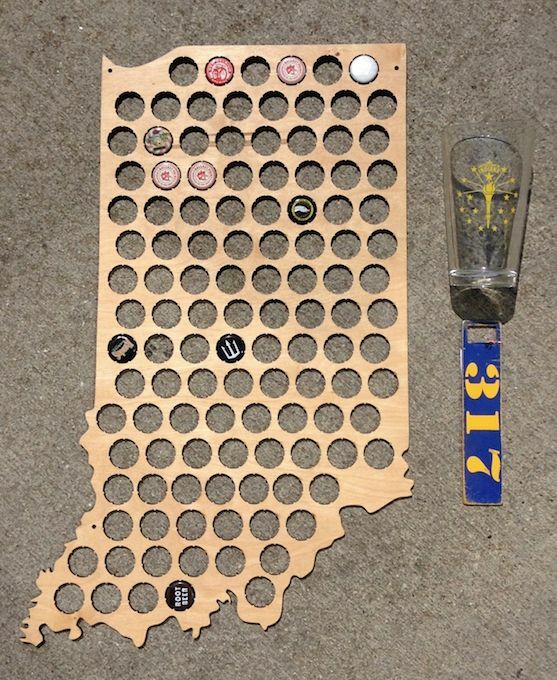 This is a really super cool gift for those of us who love Indiana Craft Beer. 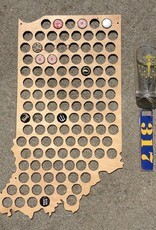 Fill up this wooden indiana shape with bottle caps from your favorite local brews. We suggest placing the caps in the areas where the beer was brewed. It's a super cool addition to any bar, kitchen, or office. Measures 15" wide by 24" tall. Features 118 bottle cap holes. Please note, the online price includes a $10 oversized shipping charge for this item, but it will receive free standard shipping at checkout. For in-store pick-up we suggest making the purchase in-store to avoid the additional shipping charge. Both stores are kept well-stocked!